Public transportation was no match for Mother Nature in Seattle, as snow paralyzed the city late last night and into this morning. Check out one bus who tried to get up a snowy hill… to no avail. 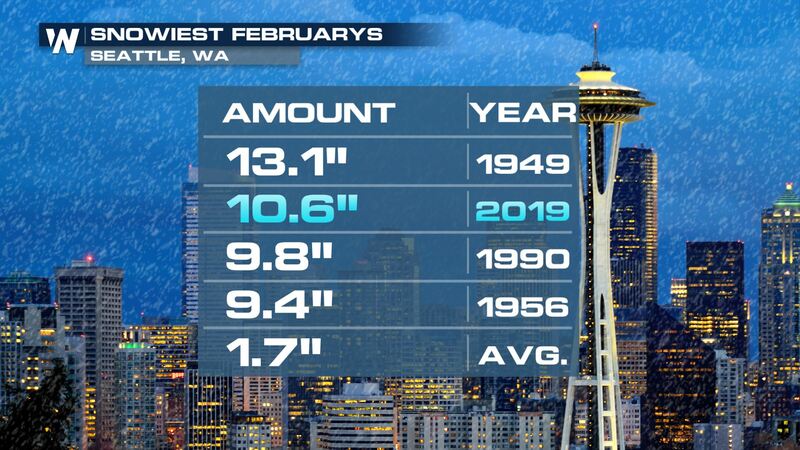 The yearly average snowfall for Seattle, Washington is around 7 inches. 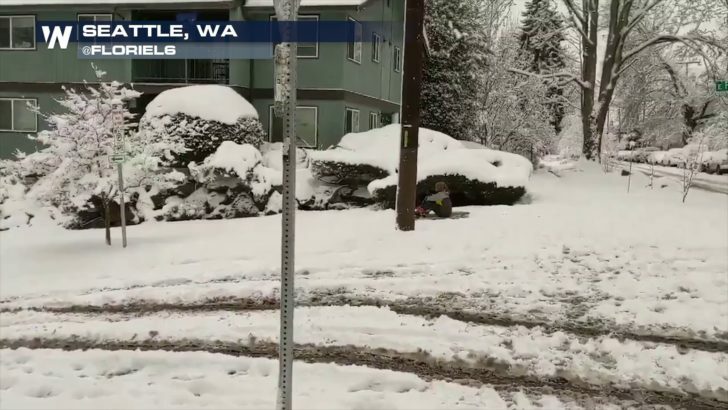 The latest storm system to hit the Pacific Northwest had them digging out of at least 7.9″ in just two days. More than 110 outbound flights from Sea-Tac airport were cancelled, nearly 100 more inbound. At one point, 75,000 customers in Washington were without power. Many local roadways were shut down by police. ✅ Plowing snow is more complicated than you might think. Please don't crowd the plow. Add this snow storm the 2.7″ reported just a few days earlier and the monthly total at least 10.6″, making this their 2nd snowiest February on record. With the pattern staying cold and snowy for the next 1-2 weeks, this record will likely be broken very soon. Big snows like this aren’t common in the Emerald City. Meteorologist Joe Astolfi takes a closer look at the climatology of Seattle snow. For WeatherNation, Meteorologist Karissa Klos.